Want to be notified of new releases in diekmann/Iptables_Semantics? A formal semantics of the Linux netfilter iptables firewall. Written in the Isabelle interactive proof assistant. A real-world model of IPv4/IPv6 addresses as 32bit/128bit machine words. Support for all common actions in the iptables filter table: ACCEPT, DROP, REJECT, LOG, calling to user-defined chains, RETURN, GOTO to terminal chains, the empty action. Support for ALL primitive match conditions (by abstracting over unknown match conditions). Translation to a simplified firewall model. Service Matrices: For a fixed port, which IP addresses are allowed to connect which other IP addresses? Shows a partition of the complete IPv4/IPv6 addresses. Don't want to install Isabelle? Don't want to mess with formulas or proofs? Just want a working tool? Cool, checkout our stand-alone Haskell tool! The raw data of the iptables rulesets from the Examples is stored in this repositoy. This repository is probably not up to date and still uses Isabelle2016-1. 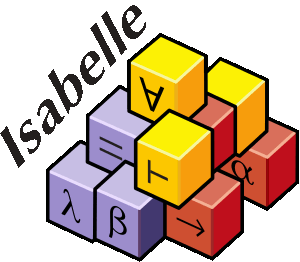 Get the theories for the current Isabelle release directly from the afp. This needs about 14 CPU hours (about 7 hours real time on an x220, i7 2.7GHz, 16GB ram). The session Iptables_Semantics_Examples_Large1 needs about 5-6 hours CPU time and Iptables_Semantics_Examples_Large2 needs about 7 hours of CPU time; you may want to skip those. The build takes less than 10 minutes on my laptop (14min CPU time, 2 threads). The documentation summarizes the most important definitions and theorems. It is deliberately very very brief and only provides results. It should contain the summarizing correctness theorems for all executable functions we export. This is probably the best point to get started working with the theory files.